Jersey and Guernsey have a long history of friendly rivalry that usually sorts itself out twice a year, during the annual footie and rugby matches. For such close neighbours there are plenty of similarities but also many important differences. But both Islands do boast a long literary history going back centuries and many artists have travelled across the Channel to be inspired by our wild coastlines. Today I’m delighted to welcome debut author, Anthony Le Moignan, who’s book, A LONG GOODBYE has recently been launched. Anthony, can you tell me a little about your book and what inspired you to write it? Although A LONG GOODBYE is my public debut novel, I wrote Point of Death first. However, this seemingly illogical publishing decision has come about for very strong emotional reasons. I was inspired to write A Long Goodbye after spending over two years visiting my father, Des, as he slowly succumbed to that most sickening of diseases, Alzheimer’s. As I watched Dad on a near-daily basis, turning from the father I loved, to a man who sometimes didn’t know who I was, I knew I was going through the most profound moments of my life. In the middle of this period, I read about an attractive woman in her early 30s, recently married and an ex-ski instructor. She’d been diagnosed with something I’d never heard of at the time; early onset Alzheimer’s. ALG was born from my gradual understanding of care homes and my father’s condition, and the almost unimaginable horrors of early onset Alzheimer’s. A share of the sale of every book is being donated to Alzheimer’s Society in the UK and Jersey Alzheimer’s Association. The book revolves around three main characters. Simon is 40, a successful partner in an accountancy firm in London. His doctor confirms the worst – Simon has early onset Alzheimer’s. With this knowledge, he closes his social and business life, applying to move to a care home just outside Cambridge. He hopes nobody will ever find him. Emma, 42, is the manager of Orchard care home. Hard working, conscientious and admired by all. She’s a petite, attractive woman, married to Michael, a former manager of the same care home. Happily married for many years, their relationship has become more and more strained as Emma fails to fall pregnant. The situation isn’t helped when Michael rises within the care home group and travels away regularly to grow the business empire. The attraction is instant and reciprocal, but how can Emma and Simon ever have a future? Emma is a completely faithful wife, and Simon is living on borrowed time. Thanks, Anthony. 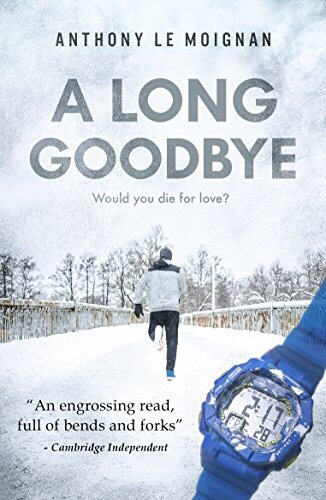 A LONG GOODBYE is available now in paperback and eBook via Amazon, Anthony’s website, and Waterstones. 4) Throughout the Second World War my father was known as ‘Lemon Onion’ – phonetically the nearest anyone could get to his surname. I can see from your answers you have a great sense of humour. Toto, I’m directionally dyslexic too, or so I’m told. Finally can you tell me about your next book…? My next book (Point of Death) is liable to be published before the new year, but it’s a very VERY different story to A Long Goodbye. It’s best described as a dark and graphic thriller but with hints of Lassie – a novel for the extremist … For now, there’s a teaser front cover on the website, but that’s it; my lips are sealed. Thanks, Anthony, for popping along for a virtual coffee. I wish you every success with your writing. It was both a shock and a delight when Anthony Le Moignan received The English Prize at end-of-term assembly. He was 11 and in the 6th form, his final year at Prep. The celebrations carried on for years – five in fact, at which point he was expelled from senior school (‘asked to leave’ was the official jargon). However, a lifelong lesson was learnt (even if an avoidance of alliteration wasn’t) – he was clearly unemployable. So through a series of almost absurd luck which he cannot begin to over-emphasise, he seems to have successfully ploughed himself to this current moment in time. He won’t excuse his love of Cambridge. Having travelled around the world playing croquet for a couple of decades, this little city is just about his favourite place on the planet. He’s not entirely sure why, but he seems to love being surrounded by people far brighter than himself, and buildings older than God (welllll, sort of…). So, a lot of his novels are going to be set in or around Cambridge and London, all of which he hopes will be glanced at in the fullness of time. For now, he’d like to mention that all of the characters in his books, every single one of them, human and otherwise, are based on actual persons; fragments maybe, but they all truly exist. Quite how any author can claim otherwise is a complete mystery to him. Aspiring travel writer Mia Walker dreams of covering dream destinations for a living. 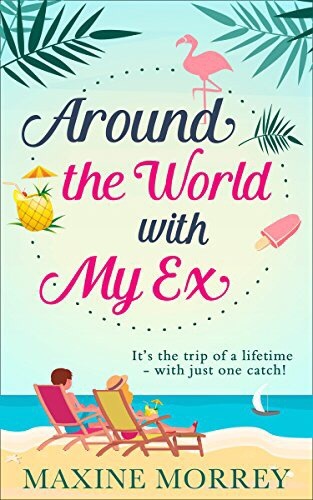 So when she’s offered the chance to write a romantic travel piece, taking in turquoise oceans, tropical beaches, and a fairy-tale Scottish wedding, she knows it’s the opportunity she’s been waiting for. It’s the trip of a lifetime… but it comes with a catch. The photographer who’ll be travelling with her is Hunter Scott, who Mia last saw five years ago – when she ended their engagement! Abby Spencer knows she can come across as an airhead – she talks too much and is a bit of a klutz – but there’s more to her than that. 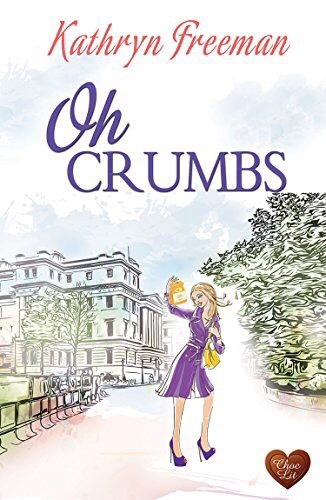 Though she sacrificed her career to help raise her sisters, a job interview at biscuit company Crumbs could finally be her chance to shine. That’s until she hurries in late wearing a shirt covered in rusk crumbs, courtesy of her baby nephew, and trips over her handbag. Managing director Douglas Faulkner isn’t sure what to make of Abby Spencer with her Bambi eyes, tousled hair and ability to say more in the half-hour interview than he manages in a day. All he knows is she’s a breath of fresh air and could bring a new lease of life to the stale corporate world of Crumbs. To his life too, if he’d let her. But Doug’s harbouring a secret. He’s not the man she thinks he is. Okay, so I downloaded this book under false pretences. Yup. That’s right. You know that feeling when you buy something, expecting one thing and you’re dragged, kicking and screaming, into something else? I was expecting fluff, of the pink, sugar-coated kind. I’d just come out of reading a killer thriller (see previous review) and wanted to dilute the book hangover. In biscuit terms you could say I thought I was getting an Iced Gem and I ended up with a dark chocolate digestive. But the thing is I love digestives, they’re my favourite biscuits after all. What I expected demolished on page one, the prologue, when I was plonked Into the middle of a funeral. You can’t get less fluffy than grief to help set the tone of a book. Abigail (Abby) has had a tough childhood, if you can even call it that because from twelve-years she’s been both older sister and surrogate mother to her siblings. But that aside now at twenty-four she has a degree under her belt in addition to a fine repertoire of PC swears (Oh Crumbs). She manages to snag the attention of her new boss, Doug. DCI Michael Gilbert is called out to Sark – the world’s first dark sky island – after bones are found on Derrible Bay. He is followed by journalist Jennifer Dorey, driven by a secret in her own past. The remains are decades old, but after a body is discovered Jennifer and Michael fear there may be a killer on the island. Together they follow a dark trail of bad blood and a conspiracy of silence. 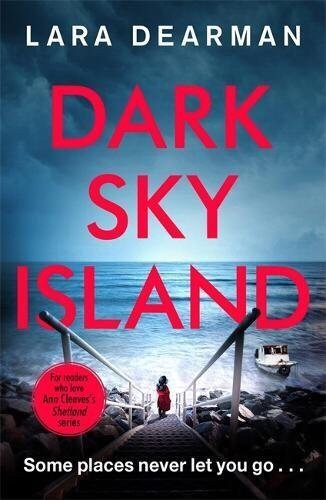 I liked Lara Dearman’s The Devil’s Claw but I loved Dark Sky Island. This evocative novel brought so many happy memories in its wake that I couldn’t but be enthralled from page one. I knuckled down pretty quickly and read in one sitting, sitting in the warm sunshine of my Guernsey backyard. So what’s to love? Dearman has a knack of setting the scene. She draws the reader in, kicking and screaming and makes them put their life on hold. Dishes. What dishes? Ironing. Well, the crumpled look is in, isn’t it? In a way I feel envy for the people that will read this who have never experienced the delights of such a special place. We try to visit Sark at least once a year. I’m a bit past the hike up the hill these days so the toast rack is a welcome relief. In the old days I too would have stuck to my guns and reached The Bel Air gasping for a cold one. It’s lovely to read a book with so many personal experiences running parallel in my minds eye. We’ve never been to Brecqhou Island but we have fished those waters with the towering backdrop of the ‘castle’ in the distance. The Venus Pool, around the corner from the Silver Mines holds one of my darkest secrets. I’m scared of heights and if you’re not a mountain goat, born with cloven feet I wouldn’t suggest a visit. God, I still have nightmares remembering the frantic rock climb. I seriously thought I was going to die. The swim. Was it worth it? I honestly can’t remember. Following on from The Devil’s Claw, Local journalist, Jenny Dorey, is still reeling from the death of her father, despite a two year hiatus. She’s in a new relationship, with fellow reporter but life seems to be getting in the way. When the historical remains of a body is found in a dark, dank cave off Sark and closely followed by a second, newer murder, she hops on the next ferry to run a parallel investigation with Michael from the Guernsey police force. This is a twisty turns thriller with beautiful descriptive scenes interspersed with fast-paced plotting and intrigue that will keep the most exacting of readers enthralled until the end. I loved it. I’ve read quite a few thrillers this year and this sits alongside Emma Rowley’s ‘Where the Missing Go’ and David Jackson’s ‘Don’t Make a Sound’. I predict a hit. At least the traffic won’t suffer – cars aren’t allowed in Sark, thank God!